"Corned beef and cabbage is a traditional meal for luck on New Year's Day. This is a modern twist on an old tradition." 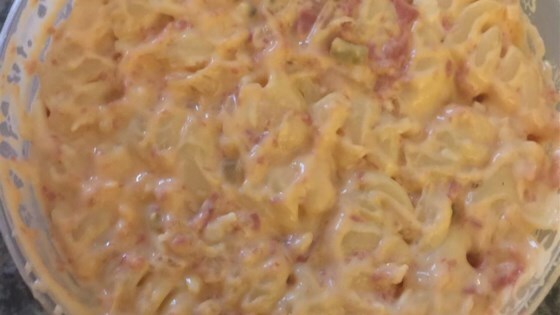 Mix pasta, corned beef, sauerkraut, Swiss cheese, and Thousand Island dressing together in a bowl until evenly coated. I have the deli slice the corned beef as thinly as possible, then cut the sliced meet. This gives me the shredded corned beef. If you purchase the Swiss cheese in a block and shred it this would be better than dicing the sliced cheese.